Burning in Water - New York is pleased to present An Ocean of Light, an exhibition of new work by Brooklyn-based artist Eric LoPresti. The exhibition encompasses several types of media, including large paintings on linen, mixed media works on paper, and altered digital photographs. Employing a range of approaches to his theme, Eric LoPresti constructs a multifaceted depiction of the American West that scrutinizes our physical environment within the contexts of both the expansive narrative of the atomic age and the artist’s own personal history. While the globally transformative story of the development and testing of nuclear weapons suffuses these works, LoPresti’s visual field shifts constantly and seamlessly from the micro- to the macroscopic. As with the infinitely elusive location of a particle in quantum mechanics, LoPresti presents a vision of the American West whose physical characteristics and historical associations defy any attempt to be perceived and comprehended from a fixed viewpoint. SUPERBLOOM, a solo exhibition of artworks by Eric LoPresti examining the post-Cold War landscape of the American Southwest, opened on October 4, 2018 at New Mexico State University Art Gallery, accompanied by a series of related performances and events. The exhibition included oil paintings, large-format watercolors, digital works, and a multi-channel video, a new medium for the artist. …In his upcoming solo exhibition, “An Ocean of Light,” LoPresti explores the legacy of nuclear development and testing in the United States as well as the often overlooked desert landscapes where this testing occurs. …In some ways, the desert acts as a foil to the nuclear; the raw naturalism of the terrain emphasizes the artificiality of the man-made weapons. Yet these subjects also share certain similarities — they’ve both become overlooked aspects of the American cultural and physical landscape. But just as LoPresti critiques the oversimplification of the nuclear narrative, so does he counter stereotypes of the desert, so often misunderstood to be empty and lifeless. By contrast, LoPresti’s pieces celebrate the unique desert landscapes of California and New Mexico, accentuating their ecological diversity with vibrant detail and color — LoPresti’s not-so-secret fascination. Several of the paintings feature rectangles of color which break up the otherwise naturalistic scene which LoPresti calls “color chips” — a device he’s experimented with in previous exhibitions. “I like seeing disrupted imagery where it’s clear it’s been mediated, annotated, marked up and commented on,” he admits. And, if commenting and annotating reminds you of social media, you’re on the right track. LoPresti believes that learning the story of nuclear weapons can provide a useful blueprint for other negotiations with technology, warfare and the environment on a mass scale — from Instagram and Twitter to global warming and cyber attacks. LoPresti believes a critical understanding of these weapons is our best chance at a safer future while these weapons exist. Burning in Water - New York is presenting “An Ocean of Light” by Brooklyn-based painter Eric LoPresti. The exhibition encompasses several types of work, including large paintings on linen, mixed media works on paper and altered digital photographs. Eric LoPresti (b. 1971, Denver) makes works of art that examine the imposition of technology upon the environment and the aftermath of the Cold War. His dramatic landscapes juxtapose abstract elements with representations of the vast deserts of the American West, exploring relationships between science, identity, history, and conflict. Following in the painterly tradition of the apocalyptic sublime, LoPresti’s artistic practice explores how trauma and beauty shape our lives. LoPresti earned a BA in Cognitive Science from the University of Rochester and an MFA from the Maryland Institute College of Art. Past awards include the Faber Birren Foundation Award, the Walentas/Two Trees Studio Grant, and the Miami Young Painters Award. 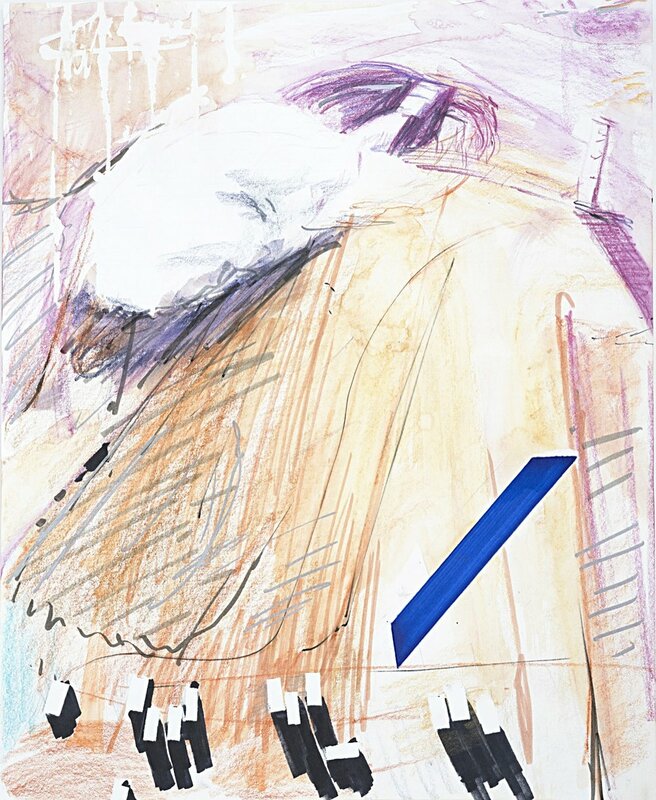 Recent solo exhibitions include Superbloom at New Mexico State University; Blooms at Elizabeth Houston Gallery (New York); Blueprint Paintings at the University of Rochester; and No Blue Skies at Kunsthalle Galapagos (New York). His solo exhibition Test Site was exhibited at the Smithsonian Institution’s National Atomic Test Museum (Las Vegas). Recent group shows include Plural at the University of Nevada Las Vegas and Site at Youngstown State University. LoPresti has been interviewed on international video by Reuters and the Washington Post, and his work has received mentions in The New York Times, Art in America, Artforum, NY Arts, ArtLog, Nature, The Denver Post, The Seattle Times, Vegas Seven Magazine, and the Village Voice.